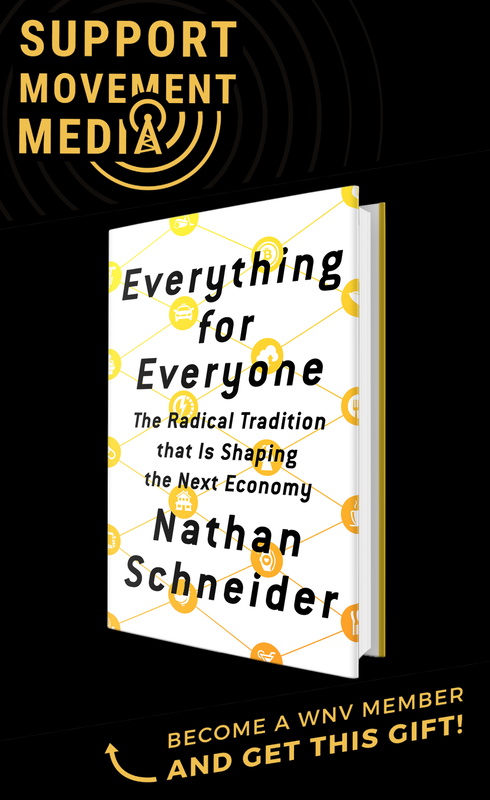 By using humor and guerilla theater, a satirical presidential candidate has stirred a dormant generation to begin challenging the political order. Serbia heads to the polls for its presidential election on Sunday. While the ballot boasts the usual cast of characters in the Serbian political arena, one young candidate has launched a satirical campaign to challenge the frontrunner — current Serbian Prime Minister Aleksandar Vucic — by engaging new voters and using humor to shape a high-profile critique of Serbia’s political elites. 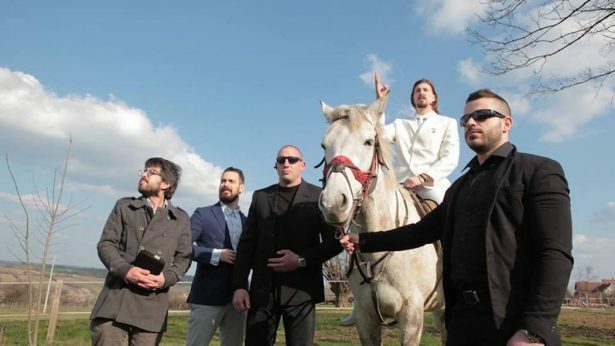 Always dressed in his trademark all-white suit and often depicted riding a white horse, this candidate — who goes by the name Ljubisa Preletacevic-Beli — built his campaign in response to widespread disillusionment with the country’s current political leaders, particularly among the country’s youth. Beli, whose real name is Luka Maksimovic, comes from the Serbian town of Mladenovac and will be competing against 10 other candidates in Sunday’s election, running as part of the “Hit It Hard Beli!” citizen campaign. The campaign has gained enormous popularity, rising to second in the polls behind Vucic — who has an estimated 53 percent of the votes — and drawing disengaged youth into political participation. Current Serbian President Tomislav Nikolic has called Beli’s campaign a “sociological phenomenon” among young voters. Some suggest this could be an indicator of a larger civic awakening taking place in Serbia against the current political establishment, as the country faces economic hardship and a brain drain of the young and skilled labor force — all while vying for European Union membership, despite rising anti-E.U. sentiment in the country. As a presidential candidate, Beli portrays a caricature of corrupt Serbian politicians, bragging that he holds a fake university degree and making promises he can’t keep. He mocks Vucic on his Facebook page — including a series of recent jabs after reports that Vucic hired a group of supporters to travel around the country on buses to attend his rallies, but only compensates them with a small amount of money and free sandwiches. Beli responded by posting on Facebook that he would offer pizzas to his supporters, not just sandwiches. A screenshot from one of Beli’s YouTube videos shows him atop a white horse. The campaign has produced music videos and uses satirical language in which Beli calls himself “uncle,” making statements like “Uncle will take care of you!” and “Uncle loves to win!” The page description says Beli “would sell himself for 750 million euros, not for a few thousand like today’s politicians.” He also describes himself as the “Future President of Mladenovac and Serbia,” intentionally misspelling president and making a joke about holding two positions at once — since Vucic, if elected president, will hold the offices of both president and prime minister at the same time. Aida Salihovic, a student and activist from the western Serbian city Novi Pazar, said she believes Beli has motivated young people who previously felt powerless and voted for the same politicians without considering alternatives to the status quo. “His energy has given a completely new dimension to the upcoming elections,” Salihovic said. Beli’s campaign serves as an example of what author L.M. Bogad calls “electoral guerilla theater,” the practice of running for public office as a creative prank to draw attention to issues in the system or promote a certain platform using the publicity of the campaign. So far, the campaign is succeeding in mobilizing the energy and engagement of Serbian youth. It also carries similar elements to the humor and public theater stunts used to garner young people’s support for the OTPOR! student movement, which led to the overthrow of Serbian dictator Slobodan Milosevic in 2000. 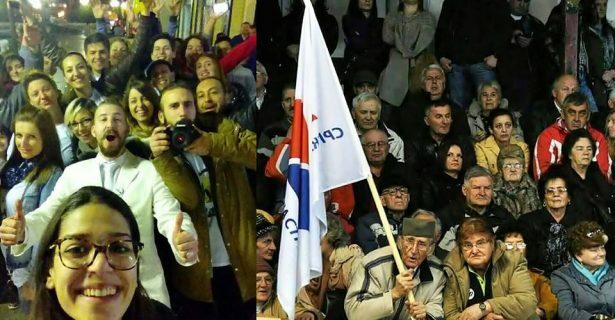 Posted on Beli’s Facebook page, this photo bears the caption “I know which Serbia I belong to” and contrasts a selfie of Beli with a group of Serbian youth against a picture of older Serbians voting for the dominant parties. Beli is currently ahead of the other main competitors to Vucic, including the former National Ombudsman Sasa Jankovic, and the right-wing radical Vojislav Seselj. His campaign was initially contested, and supporters still fear it could be dismissed by the Administrative Court — despite Serbia’s Electoral Commission upholding Beli’s right to run for office. Appearing in an elaborate performance on Kurir TV this week, Beli wore a crown of gold leaves and a fur cape over his white suit as he addressed the audience through billowing clouds of smoke and flashing lights. Although it is unlikely he will pose a major challenge to Vucic on Sunday, his campaign may be stirring a dormant generation to begin challenging the political order and shaking up the status quo. I’m an 88 year old pro-equality activist who takes heart and inspiration from this marvelous guy! I think humor, theater, all the arts in the hands of those who truly care what happens to the planet and who refuse to give in to fear and anger, revenge and violence will prevail.